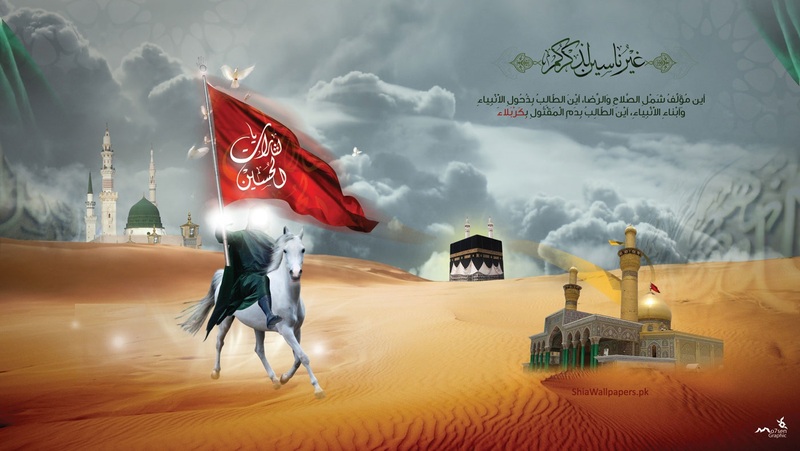 In Muharram when we think of Ahl al-Bayt (alayhi sallam), we always think of the event of Karbala. And today in this world, everywhere is Karbala, everywhere there is unprecedented amount of slaughtering, slaughtering of innocents, slaughtering of people, and not caring for them, not caring for what they represent or what they stand for. There is no more humanity and that disaster is upon Mankind everywhere. 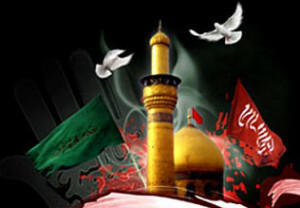 When we remember the life of Imam Hussein alayhi ‘s-salaam, for lovers of Sayyidina Muhammad (saws) and those who are trying to gain faith, trying to increase their faith, increase their tasleem, and submission and reach to Maqaam al-Ihsaan; that it has such an important symbol of faith, strength and perseverance. That he sets a very high standard, it is the pinnacle of belief, the pinnacle of struggling and that has a tremendous symbol for us in our lives. It is not one night and one moment in our year of marifah but, it is a constant reminder. 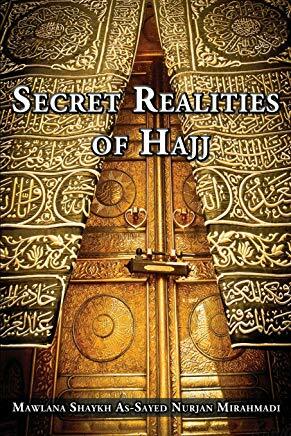 All the Ashaab an-Nabi (saws) but for the Ahl al-Bayt they have a special place in that reality. They have a special understanding that the extend in which Imam Hussein alayhi ‘s-salaam took upon an order of Allah Azza wa Jal. And the extent of which seventy-three of the family and companions sacrificed themselves. The extent in which he took his women and children on that caravan and knowing that they are all going to be in difficulty. But the thought was always a sense of hope for humanity, that if they see us with our family and they see that we are not armed or coming to attack anyone, but we are coming to spread the love of Sayyidina Muhammad sallallahu alayhi wa sallam. Means in every aspect is a symbol for us that Imam Hussain (as) came to uphold the sunnah of Sayyidina Muhammad (saws). They were innovating and changing and doing things and they asked, the people asked, “Bring that light of Prophet sallallahu alayhi wa sallam, bring the sunnah of Sayyidina Muhammad sallallahu alayhi wa sallam, bring the way of Sayyidina Muhammad sallallahu alayhi wa sallam, that is your inheritance, bring it to our place and bring to our people,”. And all they wanted to do was slaughter; they wanted to slaughter him, his children, young boys, slaughter the women, they wanted to slaughter everyone, and they didn’t care not to. We see that on the face of this Earth now, the Dajjal armies that are all over the world and claiming to be Islam, and whatever they are claiming to be, this is the battle of the Anti-Christ. These are the battles of Dajjal and the Dajjal armies that are upon the Earth now. 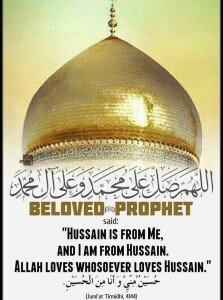 Imam Hussain alayhi ‘s-salaam is a reminder in our lives. For people who are coming and maybe heard or not heard that these are big awliyaullah, they are the descendants of Sayyidina Muhammad sallallahu alayhi wa sallam. 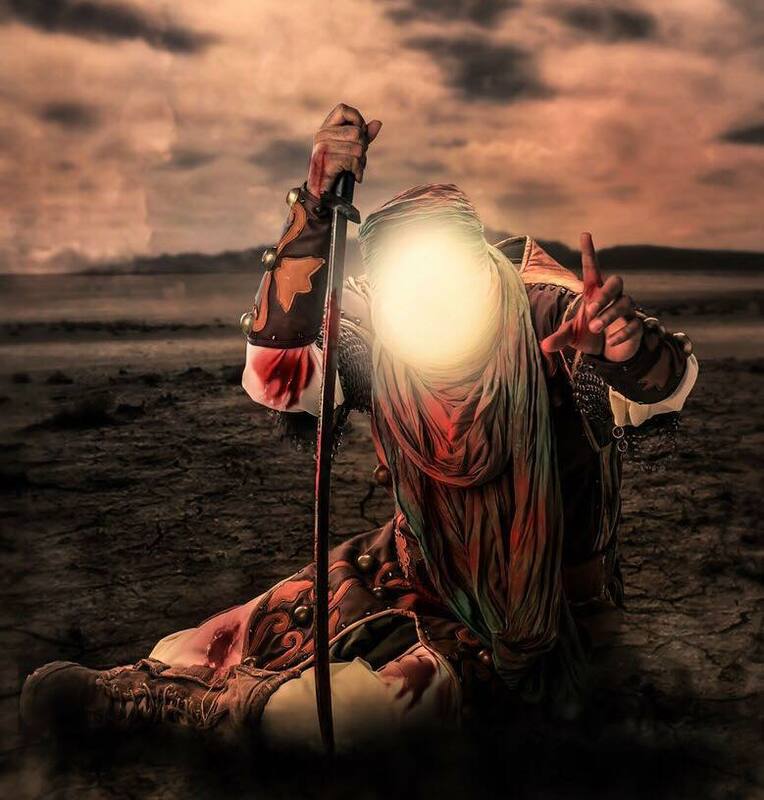 That when you put everything into its place we begin to understand the greatness of the sacrifice that all the companions made, all the Ahlul Bayt made. But specific to Imam Hussain alayhi ‘s-salaam, he is a big wali (saint), big awliaullah, Sayyid ash Shuhada (master of those who can see). Means nobody can reach to be shadood with an open heart without Imam Ali alayhi ‘s-salaam signing their certificate. You can become shuhood in dunya by sacrifice or be shuhood by all the bad characteristics that leave and Allah Azza wa Jal makes you to be from Ahlul Baseerah, you see what people don’t see, you hear what people don’t hear, you feel and taste what people don’t feel and taste. These are all the gifts of Allah Azza wa Jal. So, when a big, big awliyaulalh like that, receives an amr jabbar, Allah Azza wa Jal’s amr (order) from Siffat al-Jabbar, means it is impossible to carry. 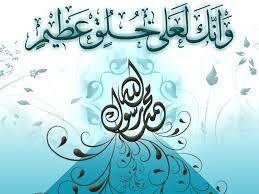 And he is Ayat as-Sabr (Sign of Patience) alayhis salatu was salaam. That is for us to understand that “when Allah Azza wa Jal gave me an amr from His Jabaroot, there was no way for me to say “No” to what Allah Azza wa Jal wants”; no companion, no wife, no child could understand. Siffat al Jabbar when Allah Azza wa Jal says, “It is going to be like this,” that maqaam (station) of Sayyidina Hussain (as), “Samina wa `ata`naa, I am going to listen to what Allah Azza wa Jal has ordered for me and I am going to be the sign of Siffat as-Sabr.” He is a sign for us in our life of having sabr with what Allah Azza wa Jal has destined for you, and he gives even all the conditions of warfare beyond imagination. How to know Sayyidina Muhammad is great is that Sayyidina Muhammad saw all of that and he never cursed his companions. He never cursed anyone that, “O your jadd is going to destroy my family. You jadd going to kill my grandchildren,”. Sayyidina Muhammad sallallahu alayhi wa sallam never said anything, knowing destruction, knowing someone is going to hurt you, nobody has that characteristic. If you think somebody stole five dollars from you, you are going to make a curse upon them. This is the character of Sayyidina Muhammad sallallahu alayhi wa sallam and his beloved grandchildren. I saw my death and I walked into it, whatever Allah Azza wa Jal wants I am submitting. I am going to be the sign of sabr and patience in life and I am going to be the sign of the best of characteristics. That I didn’t mount an attack, I didn’t sneak up on somebody and I didn’t kill them in secret. That whatever Allah Azza wa Jal wants if Allah Azza wa Jal wants me to be slaughtered, I am going to be slaughtered. If Allah Azza wa Jal wants my children in that boat and my wife in that boat and my aunts and my relatives in that boat, tasleem and submission, showing the good characteristics. “use these heavenly people as Heroes,” that remember their life, remember the symbol of their struggle. And that it is always a Qibla, a way of constantly keeping an ‘even way’, an even path. That as soon as something becomes difficult, as soon as we have a complaint, as soon as things are not coming our way, you remember them and you remember how insignificant you are and how your test is so ridiculously stupid compared to them. They say, “Are you for real? You are coming to us with this ridiculous complaint? In the lap of your luxury, big homes, big cars, air-conditioning, food so abundant. Where people (at that time) were walking and looking to get something to drink and have nothing to drink, no food to eat, (walking in) 1400F temperature, making hijrah, making Hajj. All the things that they were doing just a common day struggle was to find food and water for your family, to seek shelter from the heat of the sun. And with all our luxuries and all our happiness, Mawlana always reminds even air-conditioning, can you imagine doing Hajj with air-conditioning? It is ridiculous. You feel ashamed. They were walking and struggling in heat. When they were fasting they were fasting in 140F temperatures and they were battling while fasting because, you can’t stop the Messenger of God. When people say, “they are going to stop the Messenger” it is like stopping postal services which is a Federal offense. Means you can’t stop what Allah Azza wa Jal wants to be sent and they were fasting. How much their struggles were difficult and how ridiculous our lives are. But we find so many problems and we find things to argue about, to fight and become angry about. But the reason for keeping them as an example is that their station so high, and the sacrifice so great, that they remind you: “put your petty issues down, these are blocking you from Allah Azza wa Jal’s satisfaction. These are not problems that you think you are facing. They are nothing in comparison to what we went through and we are the family of Sayyidina Muhammad sallallahu alayhi wa sallam.” You would expect with somebody who is the most beloved of Creation that their family would be treated like royalty on this Earth. And they come as an example that no, we are treated like royalty in Heaven. 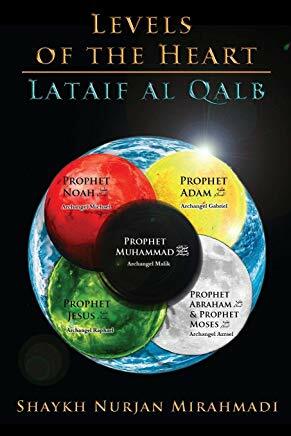 But this Earth by its nature is filled with shayateen (devils) and all they want is to destroy anything that is good, anything that is pure, anything that is made from haqq. They remind us. It means that everyday we keep that reminder of what we are struggling for. That if we can’t struggle through bad characteristic, that is the characteristic that caused Imam Hussain alayhi ‘s-salaam problems because we have it every day. That is why they say everyday is Ashura and everywhere is Karbala. These are the birds of Paradise and they come into our lives that, why were they not able to see our light? Why were they were not able to see our relationship with Sayyidina Muhammad sallallahu alayhi wa sallam? Why weren’t they able to see the importance of our existence on this dunya (world)? And those people were calling azaan (call for prayer) and praying. Forget about unbelievers, this has nothing to do with unbelievers; unbelievers they don’t believe and they believe what they want to belief is okay. But through the people of so called ‘belief’, why weren’t they able to see the light of the Imam Hussein alayhi ‘s-salaam? Then Imam Hussain (as) comes into our lives and says, “Yes, because of bad character.” That bad character went to the extend of slaughtering the family of Sayyidina Muhammad sallallahu alayhi wa sallam. So when people don’t think that their bad character is a problem, and say: “Why do I have to fight against my bad character? 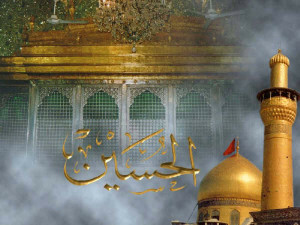 Why do I have to fight against my anger and my jealousy?” He says “all of those is what caused my Karbala. 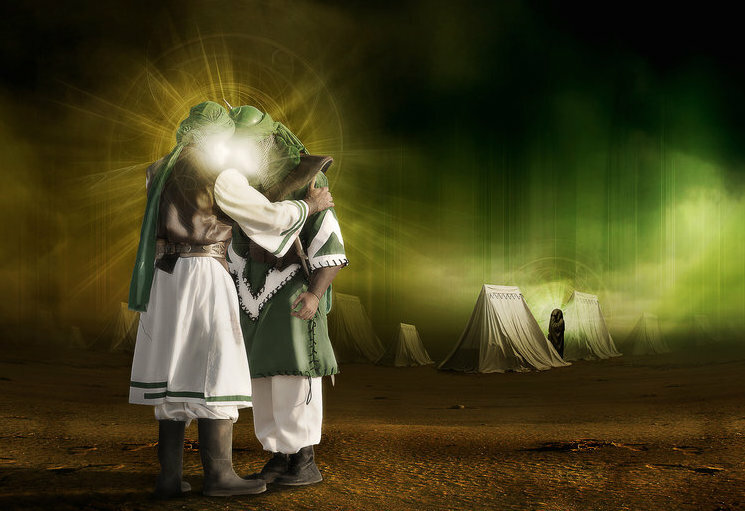 Why didn’t they see the light that they are carrying of Sayyidina Muhammad sallallahu alayhi wa sallam? Because they had jealousy. They want us to understand that the root of everything is fire. 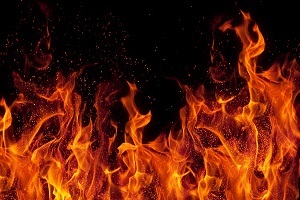 So anybody who has a fire, when that fire sits in the heart, it’s like the ‘pilot light’ of your furnace. 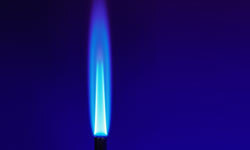 If we don’t take that pilot light out and destroy it, every bad characteristic is like a gas on that pilot light. That is why Salat un Najat and the importance of praying Salat un Najat. That after praying tahajjud and all the prayers that we have in Fajr (morning) time, Salat an-Najat is the “prayer of salvation”. We pray that yaa Rabbi take away this anger, that fire, ‘the root’. The evil fire, not the fire of holding onto what Allah Azza wa Jal wants. This is the evil fire of anger that for no reason comes out. إِلَى أَخْلَاقٍ حَمِيْدَةِ وَأفْعَالٍ حَسَنَةْ. kulu jam’i a’mali. Ya rabbi khalasni minh, wa minal ghadabin nafasani, wa min nafsit tiflil madhmuma, wa minal akhlaqidh dhamima. Wa ya rabbi, baddil kulu akhlaqi ila akhlaqin hamida wa af’aalin hasana. O my Lord! Just as fire consumes firewood, in the same way the envy which is rooted in me consumes all my actions. Purification me, O my Lord, from it and purify me, too, from the anger of my ego. Rid me as well, O my Lord, of the blameworthy ego of the child and reprehensible manners. And, O my Lord, change all my manners to laudable manners and into good actions. That pilot light of anger as soon as jealousy comes, it is like an oil; that they became jealous of his station, jealous of his relationship with Sayyidina Muhammad sallallahu alayhi wa sallam, jealous of what he represents. Immediately that oil hit that fire and boom they were ignited and that jealousy blocked them from seeing what they were about to do. It blocked them from realizing what they were about to do. And by the companionship of shayateen they went and annihilated the family of Sayyidina Muhammad sallallahu alayhi wa sallam, many of which were the exact images of Sayyidina Muhammad sallallahu alayhi wa sallam, the youth. That which they were calling to and calling the azaan and praising and glorifying Allah Azza wa Jal, in front of them, they were slaughtering them. That is the extend in which Shaytan can play and destroy people. So now imagine without seeing them, without being with them, without that holiness, what chance do we have? When the world is filled with fire and the world is filled with bad characteristic. And everybody wants their fire to continue to grow and then they begin to abuse, beat and slaughter everyone. That is why it is the end of the world. And that is why these important lives and these important events go beyond religious boundaries. It is not just okay this one religion; all of the religions remembered this story. It is a story for all of humanity. And it is a timeless story that if you don’t control your anger, your Yazid and your Shaytan are going to come against Sayyidina Muhammad sallallahu alayhi wa sallam and going to come against the Ahl al-Bayt of Sayyidina Muhammad sallallahu alayhi wa sallam and come against the ulil amr of this dunya.And as you see all over the world that is all they are doing now. They fight all pious people, they fight all the real Ahl al-Bayt, representatives of Sayyidina Muhammad sallallahu alayhi wa sallam on Earth. Shaytan making a full fledged attack and even now going to all maqams and burning maqams and destroying maqams. The life and day in which we live is such a dangerous day. That is why you cry for these events but I think more important Imam Hussain is crying for us, and what we’re about to go through. 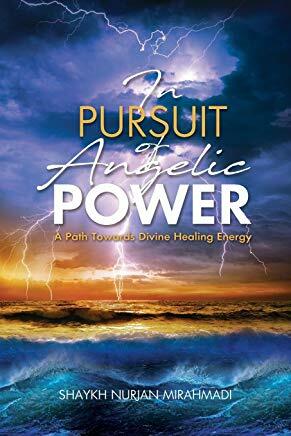 That if we are not willing to take down our anger, if you are not willing to take down the bad characteristics, if you are not willing to come against jealousy, hasad, laziness, any type of bad characteristic, it is going to make you to come against that which you love most. Because you are going to come against Prophet sallallahu alayhi wa sallam, you are going to come against the order of Prophet sallalahu alayhi wa sallam. You are going to come against everything that you think you love and in a blink of an eye you do something that you do something that you regret the whole of your eternity. How are they going to face Prophet sallallahu alayhi wa sallam to describe what they did? Is there ‘a sorry’ that you can say in the presence of Sayyidina Muhammad sallallahu alayhi wa sallam? That is why the way of tazkiya and the way of purification is so important in our lives, to constantly take an account. Today it’s your boss you are fighting, people you work with you are fighting, tomorrow it is going to be everyone, and everybody is going to be under the fire of that oppression. (To learn how to overcome anger, listen to `How to bring the Fire of Anger Down). That Shaytan within you is coming against Sayyidina Muhammad sallallahu alayhi wa sallam. The Shaytan within me is coming against the Sunnah of Sayyidina Muhammad sallallahu alayhi wa sallam. The Shaytan within me comes against everything and every ihtiram (respect) of Sayyidina Muhammad sallallahu alayhi wa sallam. Every time somebody says, “Why do you have to stand up when you say darood shareef at the end?” It is simple standing and Shaytan is blocking. 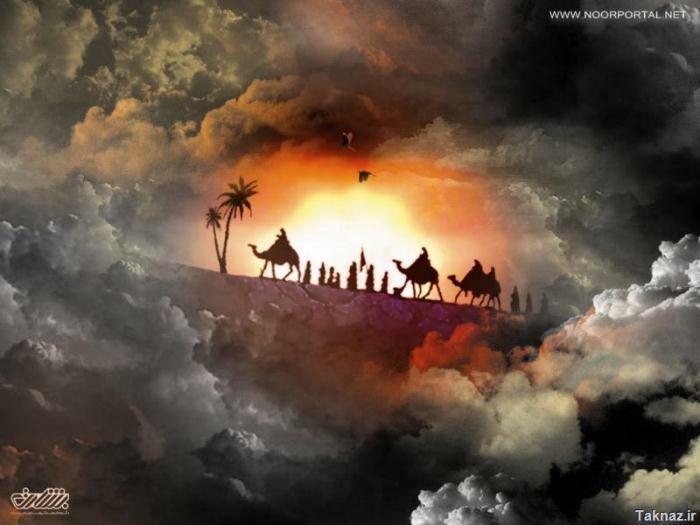 Then look at the life of Imam Hussain alayhi ‘s-salaam how they sacrificed? How they fought? There was no way anyone was going to come between them and the love of Prophet sallallahu alayhi wa sallam. For us, (we say) maybe I won’t have my beard because it’s not popular. Maybe I won’t wear my hat, it’s not popular, people may bug me on the train. Maybe I won’t keep my ring, and maybe I won’t keep my staff, maybe I won’t wear my turban, maybe I will drop the Sunnah of Sayyidina Muhammad sallallahu alayhi wa sallam. And little by little Shaytan blocks and attacks, blocks and attacks. And on these holy nights they remind us: there is no need that you hit yourself like that for me (Imam Hussain), but if you are going to hit yourself, hit for the Shaytan within you that blocks the love of Sayyidina Muhammad in your lives, that blocks the reality of Prophet sallallahu alayhi wa sallam in our lives. And a reminder for us to struggle and to fight against bad characteristic. So if they make you a little angry and you show your anger, eh your Shaytan is all over you. We can’t even sacrifice bad characteristic much less sacrifice our body, your self, you are lying to yourself. They are showing us they fought, and they fought themselves and their bad characteristics until they sacrificed even their entire body. We, if we squeeze you a litttle bit too much, you become angry and leave. Means the Shaytan inside the person is much stronger than the love of Rahmaan and the love of Sayyidina Muhammad sallallahu alayhi wa sallam. And Prophet sallallahu alayhi wa sallam described that the faith is not complete until you love me more than you love yourself. Means for the love of Sayyidina Muhammad they do everything. Fa wal ladhi Nafsi bi yadihi, la yuminu ahadukum hatta akona ahabba ilayhi min walidihi wa waladihi. These gatherings, these associations all of this is to show Prophet sallallahu alayhi wa sallam our love and our muhabbat. And we bring our children to remember the greatness of the character of Prophet sallallahu alayhi wa sallam. Ashaab an-Nabi (companions of Prophet (saws), all died. In Dhul Hajj with Sayyidina Uthman and at the beginning of Muharram Sayyidina Umar, means all died for the love of Prophet sallallahu alayhi wa sallam for upholding their religion, not hurting anyone. Look into their lives not hurting anyone but they accepted, their tasleem and they submitted and they exhibited by their good characteristics that until today you describe their lives that they didn’t slaughter anyone. He (Imam Hussain) merely asked. “Let me to pass, let me to go home, I don’t want any fitna.” They said, “No, we want to slaughter you here in the middle of the desert,” astagfirullah. He exhibits and remind us the best of character. There is no need to curse anyone, there is no need to do magic on anyone, there is no need to do anything against anyone other than fighting yourself. Fight your bad desires, (say) I am fighting my bad desires, I am coming against my bad characteristics, don’t let the Shaytan within me to become strong and block me from the love of Sayyidina Muhammad sallallahu alayhi wa sallam. 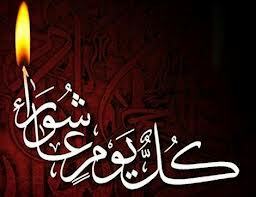 We pray on these holy nights that Allah Azza wa Jal, this Ashura and every Ash-e-Noora is an opening of light and tawba (repentance). Every nation was granted a tawba in Muharram. That Sayyidina Adam alayhi ‘salaam was forgiven on Ashura, when he came to dunya. 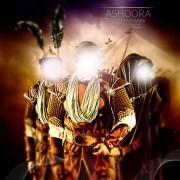 Sayyidina Nuh’s ship landed on Ashura and was forgiven. 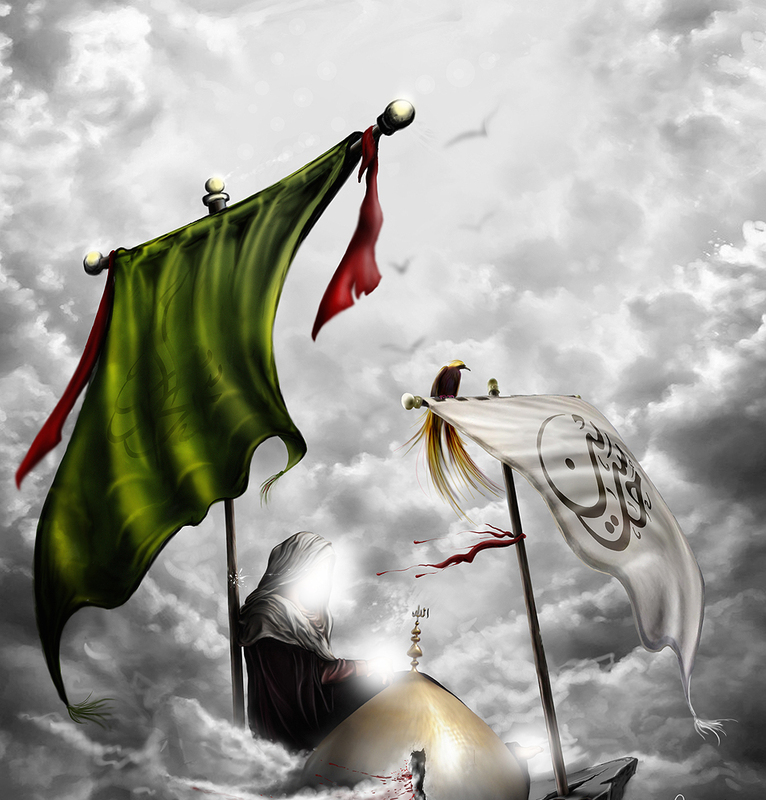 Sayyidi Ibrahim ‘Qulna ya naaru koonee bardan wa salaamun…` was saved from the oppression and fire of Nimrod on Ashura. And Sayyidina Musa alayhi ‘s-salaam, the oceans parted for him; means he ran from fir’aun (Pharaoh) and Allah Azza wa Jal granted a najjat (salvation) to Ummat (nation) Musa alayhi ‘s-salaam on Ashura. And for Nabi ul Kareem Habeeb ul Azheem Muhammad, Muharram is our hijrah, is the opening of the calendar, the opening of the City of Lights in which Prophet was granted Madinah tul Munawwarah, the City of Lights means he has been granted the Lights of Paradise. 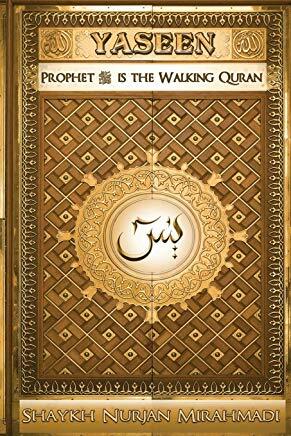 The owner of the Lights of Paradise is Sayyidina Muhammad sallallahu alayhi wa sallam. 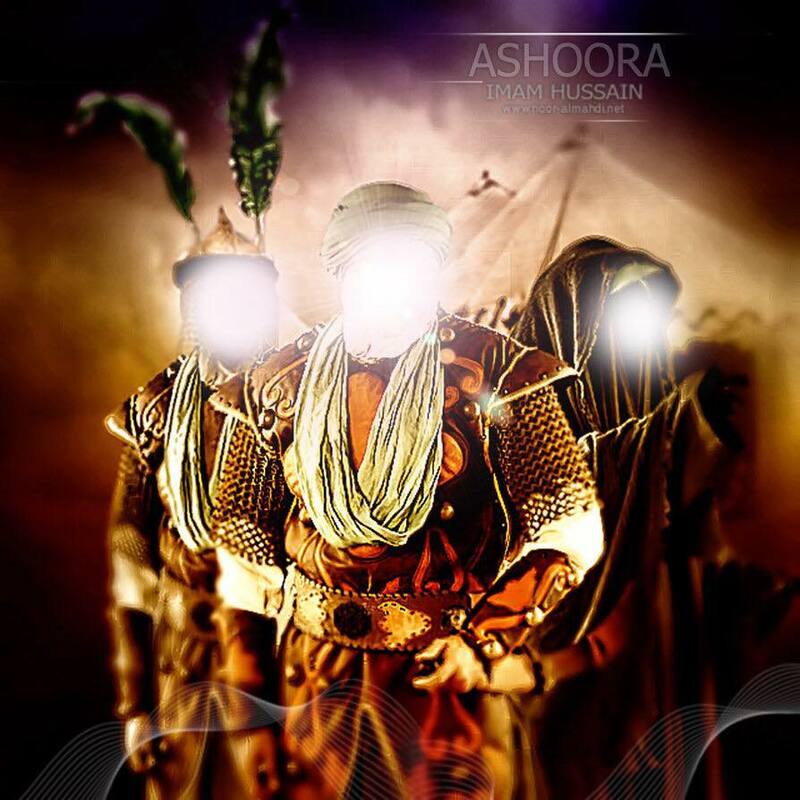 (For more details on importance of Ashura, refer to article `Significance of Ashura and 6 Prophets – Adam, Noah, Abraham, Moses,k Jesus, and Muhammad (saws). Innama bu’istu le Utammima makarimal Akhlaq. It is good character, good akhlaq and Prophet sallallahu alayhi wa sallam gives you a seat that sit at the table with me. You are not going to compete in `amal with them. You are not going to have any reward like their reward but only by good characteristic we will be invited to that table of Prophet sallallahu alayhi wa sallam to sit with such a holy companionship of noble and holy souls. We pray that in this Muharram Allah Azza wa Jal grant us the oceans of forgiveness, the oceans of light and grant us from the reality of Ashura. That Allah (aj) grant all our children and young ones to be dressed and be blessed and to constantly fight the desire of Shaytan and choose Rahmaan. InshaAllah Allah grant us from the lights of Ashura that we are nothing, we are daif, we are weak servants, but we are only coming through the door of love, love of Sayyidina Muhammad sallallahu alayhi wa sallam, love of Ahl al-Bayt an-Nabi sallallahu alayhi wa sallam, love of Ashaab an-Nabi sallallahu alayhi wa sallam, love of Awliyaullah. 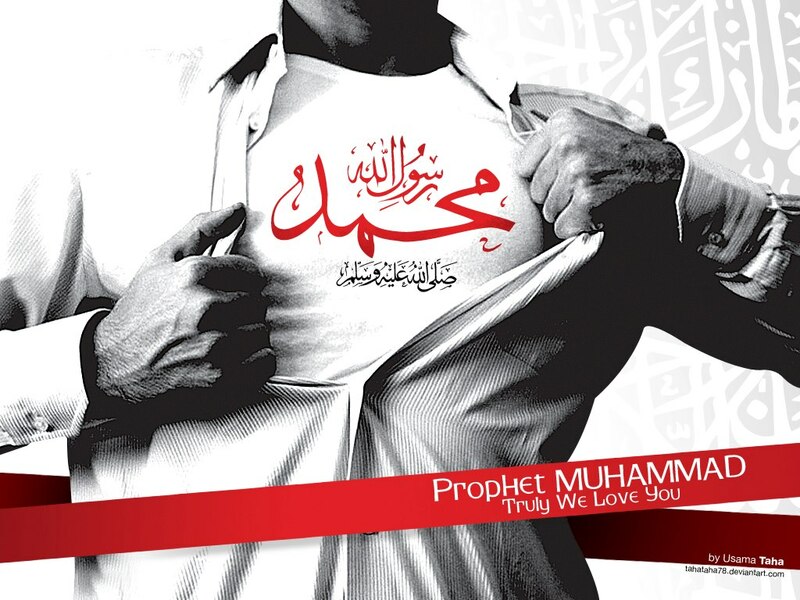 If Allah azza wa Jal is happy with us and loving us, grant that love to Sayyidina Muhammad sallallahu alayhi wa sallam, Prophet sallallahu alayhi wa sallam to be happy with us, and loving us. That their lights to dress us, their qurb and their nearness, to bring us into their nearness and save us from these fires. Qul ya naroo koonee bardan wa salaamun `ala ibrahim wa ahlil nabi kareem habeeb al-azheem Sayyidina Muhammad al-Mustafa, sallallahu alayhi wa sallam. Bi hurmati Muhammadul Mustafa wa bi sirri surat al Fatiha.